As readers will note, with the exception of Romney Whitehead’s excellent article about ‘curation before creation’, it’s been a particularly turgid week of bombastic bluff, self-aggrandisement and puffery from most of the sell-side of the DAM market. Here’s hoping next week will yield some more interesting DAM news. 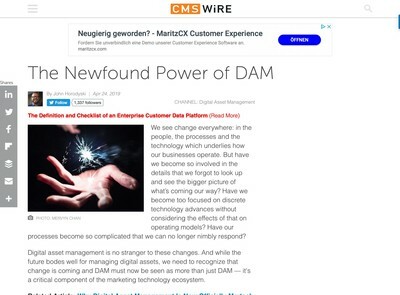 Casey Schmidt, Content Manager for DAM vendor Canto, has recently posted an article attempting to explain the concept of ‘Copyleft’ – an alternative, non-restrictive approach to licensing that permits users to reproduce, adapt and distribute software, art and documents. The history of copyleft is certainly an interesting one, and, far from being the ‘next step’, has been around in one form or another since the seventies, its most recent manifestation being the widely adopted creative commons license. 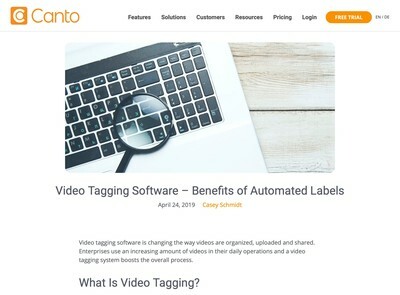 Unfortunately, the article is nothing more than a thinly veiled (and somewhat misinformed) sales pitch for Canto’s own digital rights management features. Romney Whitehead, has published a refreshingly candid opinion piece on her Borrowed Insight blog that questions the practice of hoarding digital assets and examines whether more is actually better. Cross-referencing the growing trend by both software and humans to store as many assets as possible in the cloud, she raises a number of pertinent points and asks whether we really need to. 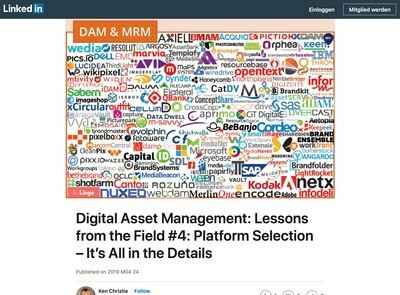 With a focus on AI-assisted solutions to weed out duplicates, and nurturing a more discerning attitude towards the value of assets by content creators, Romney’s article represents a rarely-heeded maxim at a time when ‘digital waste’ has reached an all time high. 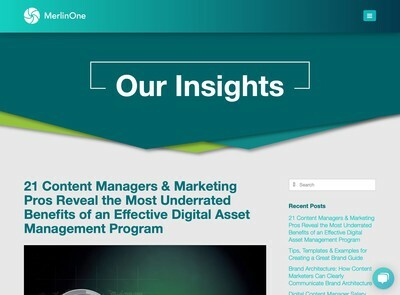 Marketing Resource Management outfit Wedia have posted an article highlighting the numerous ‘future-proof’ features that they’ve been integrating into their platform. Examples include an artificial intelligence assisted reverse image search (which they’ve strangely dubbed a ‘professional’ AI, including the use of single quotes, effectively turning it into an ironic statement or joke), improved data visualisation, customisable and localised interfaces, and improved rights management. Aside from the usual hype and pretty graphics, I doubt there’s actually much that Wedia’s R&D department is presenting that you couldn’t find in nearly every other modern DAM platform. Antipodean IT management outfit Creative Folks have recently announced a partnership with DAM solutions provider Brandfolder. The arrangement is clearly aimed at filling a gap in Brandfolder’s territorial coverage, and with a distinct lack of DAM vendors based in Australia (I could only find one, Collaboro), Creative Folks could be forgiven for believing Brandfolder’s claims of being the ‘fastest growing DAM provider worldwide’ or ‘the world’s most powerfully simple DAM platform’. Details about the extent of the partnership are sparse on the press release, so presumably Creative Folks’ role is essentially that of a reseller?